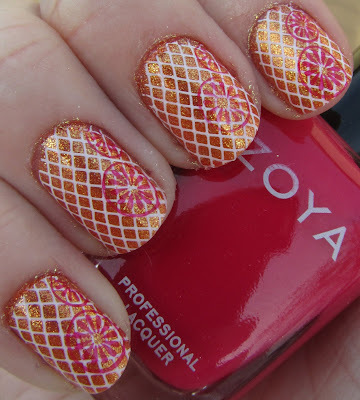 After swatching the Zoya summer collections, I was really in the mood for a light and summery manicure.. since I was already wearing Tanzy after swatching, I decided it was the perfect base for a summer citrus manicure! Very pretty! Like it alot! That is an amazing manicure! Thank you for inspiring me.